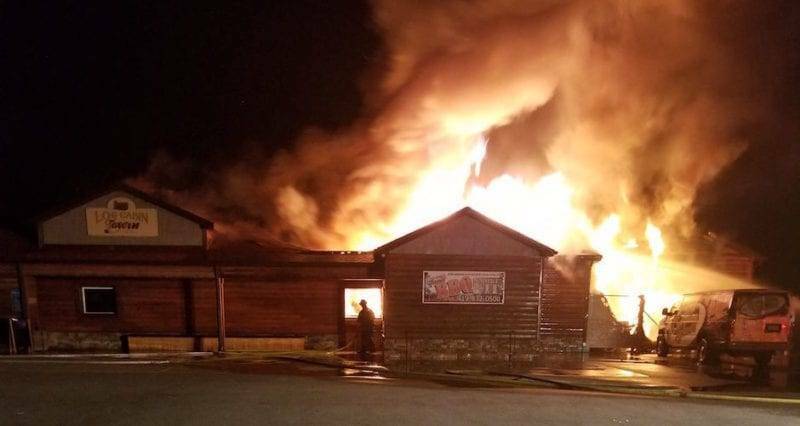 According to the Henry County Sheriff’s Office, firefighters from five area departments were called to the Log Cabin Tavern, T-464 County Road 3, Liberty Center, after two nearby residents spotted the flames at 4:04 a.m. and called emergency personnel. Responding to find the restaurant fully engulfed were Liberty Center, Delta, Providence Township, Grand Rapids and Napoleon fire departments. No injuries were reported as of 5:55 a.m. The restaurant had opened to the public in 2014. Be the first to comment on "Log Cabin Tavern Near Liberty Center Destroyed By Early Morning Fire"